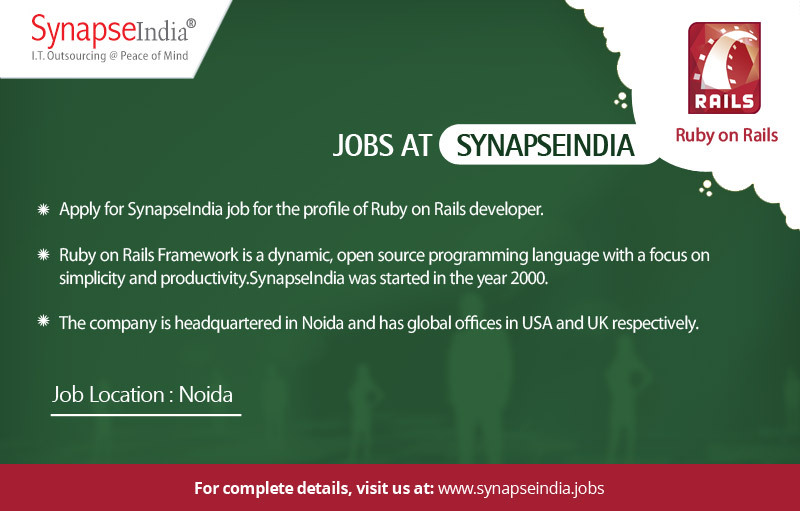 Apply for SynapseIndia job for the profile of Ruby on Rails developer. Ruby on Rails Framework is a dynamic, open source programming language with a focus on simplicity and productivity. SynapseIndia was started in the year 2000. The company is headquartered in Noida and has global offices in USA and UK respectively.